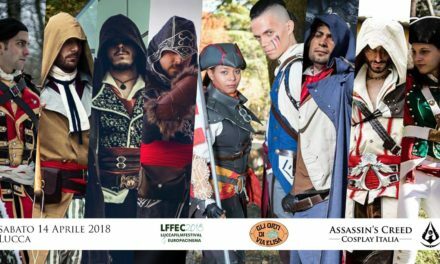 Per tutti e cinque i giorni del Lucca Comics & Games 2017 potrete trovare i nostri cosplayers, giochi, merchandise e tanto altro a tema Assassin’s Creed, al BALUARDO SAN REGOLO, sulle antiche e suggestive Mura di Lucca, dove saremo ospiti di Ubisoft! 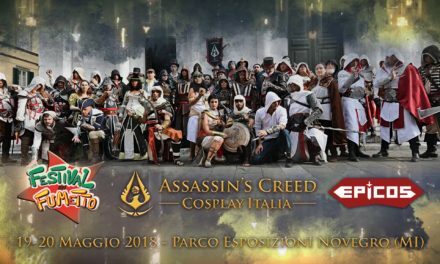 Non potete sbagliarvi: una grandiosa piramide in vetro-acciaio alta 6 metri vi farà rivivere l’atmosfera dell’Antico Egitto, ambientazione di Assassin’s Creed Origins! 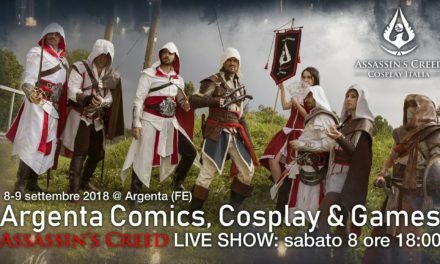 Al suo interno si terranno concerti di un’orchestra che eseguirà le colonne sonore della saga di Assassin’s Creed, nonché performance artistiche dal vivo. Nell’edificio prospiciente alle Mura, all’interno dell’ Orto Botanico Lucca, una mostra ospiterà opere di game artist italiani -tra cui la nostra Valeria Favoccia-, lavori di concept art realizzati dal team di Ubisoft Montreal e le opere dei vincitori del contest artistico ispirato ai temi del videogioco. 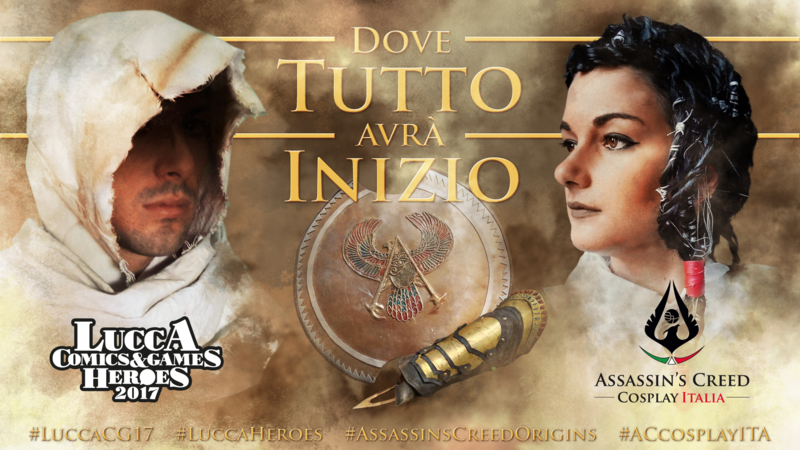 Assassin’s Creed Cosplay Italia cosplayers wait for you in Assassins’ Hideout, at Baluardo San Regolo –Ubisoft‘s location, during Lucca Comics & Games 2017 convention! On the walls of the renaissance town, there will be a 6-meters-high glass pyramid that will revive the atmosphere of ancient Egypt. 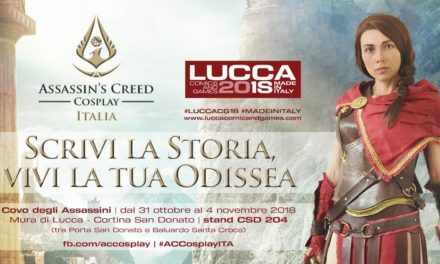 Inside there will be concerts of an orchestra that will perform the soundtracks of the Assassin’s Creed franchise, as well as live performances. In addition to that, in the Botanic Garden, there will be an exhibitionhosting artworks by Italian game artists -our Valeria Favoccia included-, concept art by the Ubisoft Montreal team and the artworks of the winners of the art contest inspired by the themes of the video game. In addition, several other entertainment activities will be carried out by us!